In HALIOTIKA- La Cité de la Pêche, the whole family explores the high seas: adults and children can dive into the fishermen’s world. Haliotika - La Cité de la Pêche welcomes you to the unique sea fishing discovery center in Brittany. Our very interesting exhibition is about the life of fishermen, fishing boats and fishing techniques. 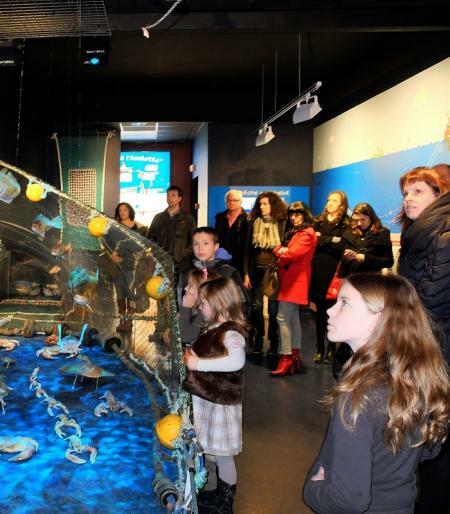 The exhibition "From the sea to your plate" tells you all the secrets about sea fishing ! When the fishing boats are back in the port, you can visit one of the largest fish auctions in France and watch the local buyers working. ►Guided tours in French for Monday to Friday at 4.30 p.m. (subject to availability, booking required).